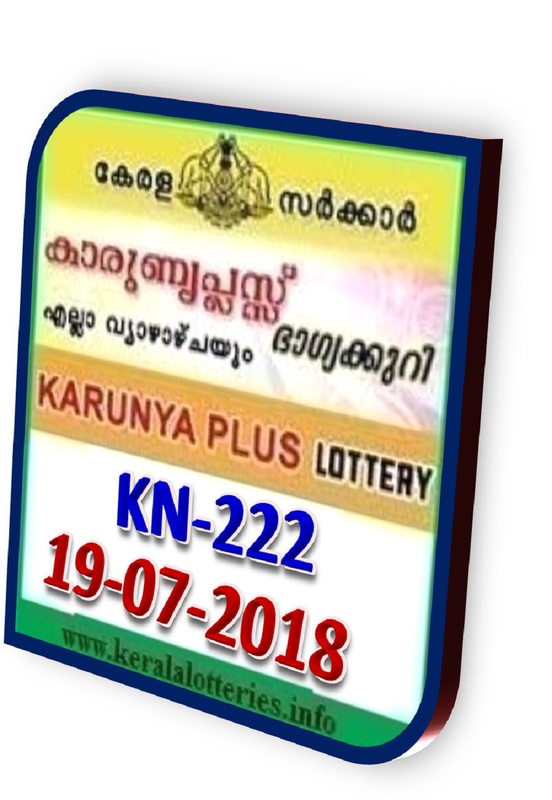 Kerala lottery result of Karunya Plus (KN-231) on 20.09.2018 is published below. 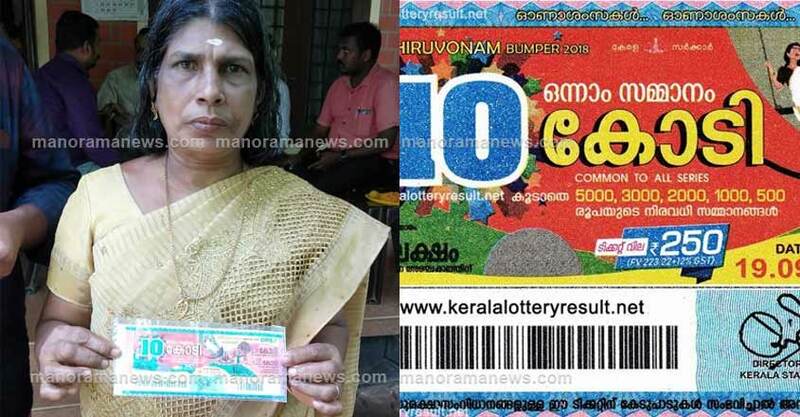 Live Kerala lottery results from 3:00 PM and the complete official Kerala lottery result between 3:45 and 4:00 PM. 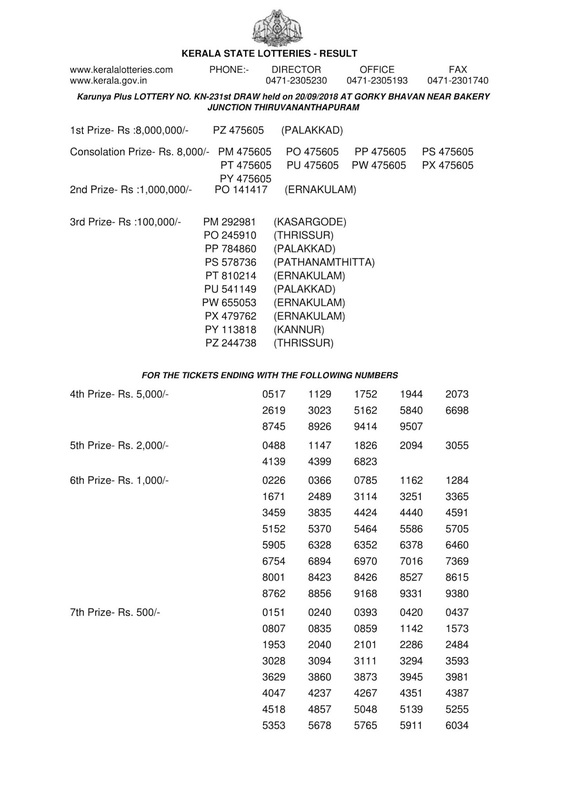 Today's Karunya Plus KN-231 lottery carries a first prize of Rs.80 Lakh along with 1 second prizes of Rs.10 Lakh. One third prize of Rs.2 Lank for one ticket. An amount of Rs.16,46,75,000/- is to be disbursed through 2,34,912 prizes. 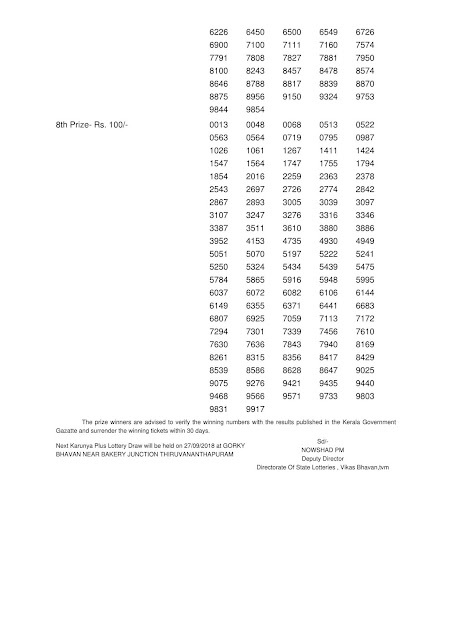 Up to date Kerala lottery results published here. 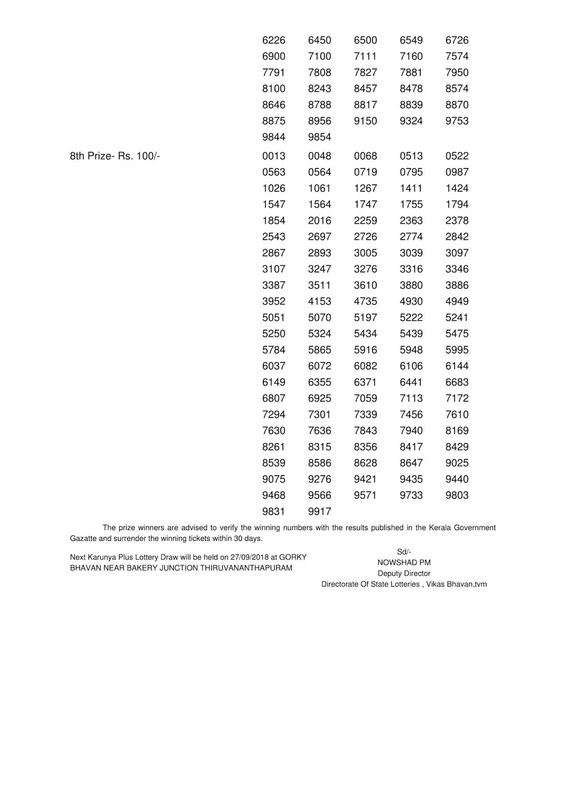 Lower prize slab of Karunyaplus KN-231 starts from Rs.5000/- and ends in Rs.100/-. There are eight slabs of prizes for weekly lottery Karunyaplus-kn-231 and one slab of consolation prize. The top two prizes, first prize Rs. 80 lakh and second prize. 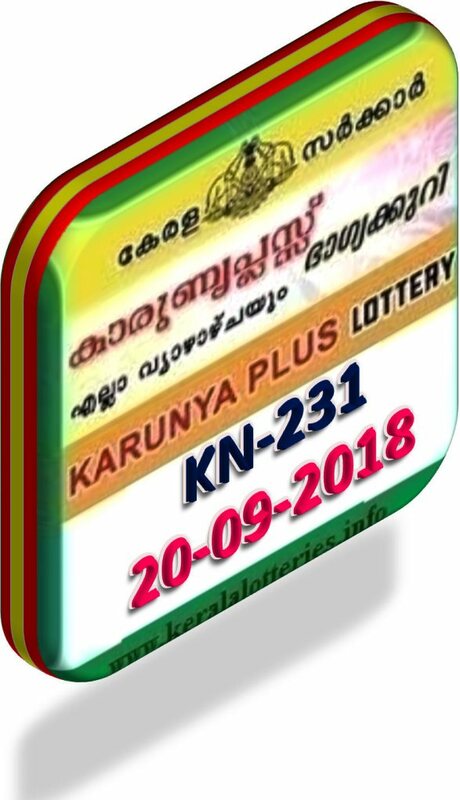 Today on 20.09.2018 Thursday Kerala lottery Karunyaplus-KN-231 is released in twelve series Nine lakh tickets are supposed to be printed in each series depending on the sale of the tickets thus totaling to 90 lakh tickets. Tomorrow on 21-09-2018 Kerala lottery "NIRMAL (NR-87)" draw at 3:00 PM and the live Kerala lottery results will be released from 3:03 PM and official kerala lottery result between 3:45 and 4:30 PM. 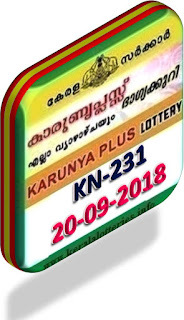 KARUNYA PLUS (KN-232) lottery next draw will be held on 27/09/2018; Thursday at 3:00 PM and the the Kerala lottery result of Karunya Plus KN-232 will be published here as soon as possible.